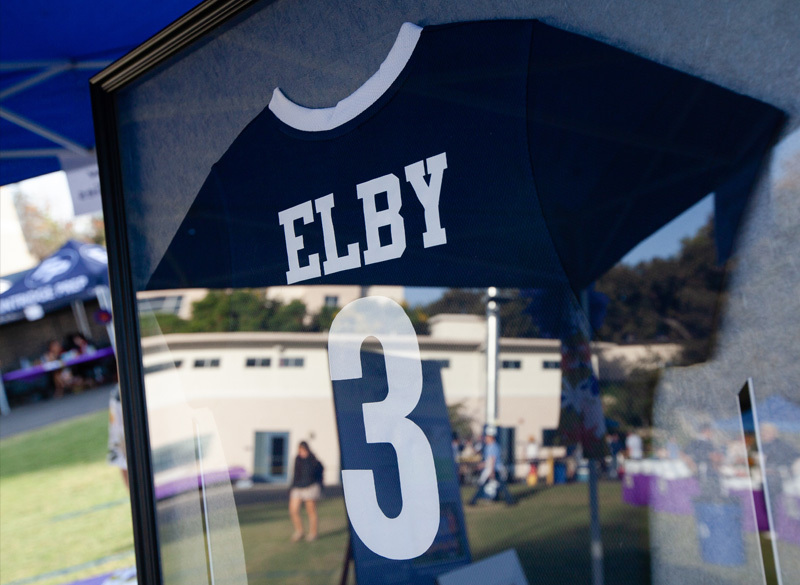 In her own words, Brooke Elby is the kind of soccer player who sprints after the ball for dear life 'til she can’t even breathe anymore. Anyone who watched her play on our home field knows exactly what that looks like. Her confidence on the field was always backed up by her speed and skill. Brooke has played soccer since she was four years old, and in addition to playing for Prep, she played for Arsenal FC. In her senior year in 2011, the girls varsity soccer team, coached by Esteban Chavez and assisted by Chris Mendoza and Sean Beattie, had a spectacular season, going 18-4-2 for the year. Brooke was the co-captain of the team. The team won the Prep League with a mark of 8-1-1 and made it to the quarterfinals in the CIF Division III playoffs. The team recorded the first outright Prep League championship, the first back-to-back League championship and the first CIF Division III quarterfinal appearance in the history of Prep girls’ soccer. Brooke had a league-high 28 goals that year. In the CIF Division III playoffs, the Rebels defeated much bigger schools: Diamond Bar (3,100 students) and Cypress (2,400 students), before narrowly losing to #1 seed Ayala (2,100 students). 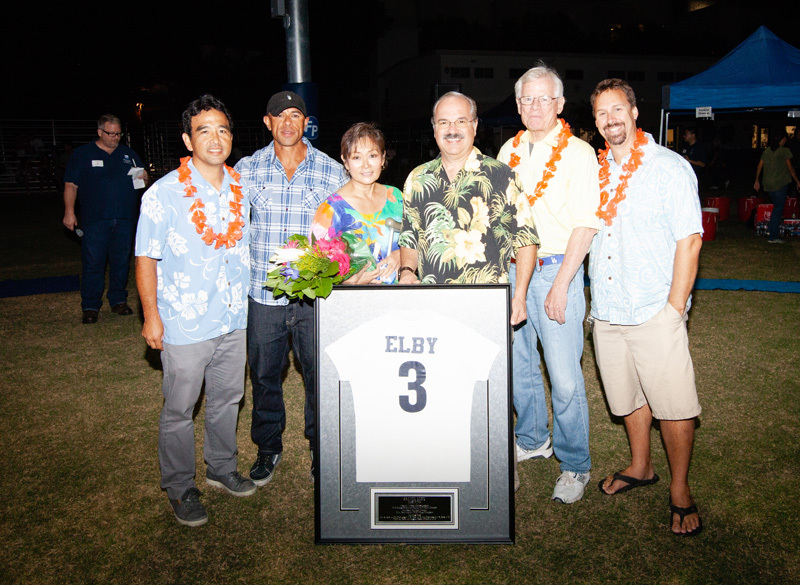 Elby was named Co-MVP of the Prep League (with Connell Studenmund ’12), and to the 1st team of the All-CIF SS Div. III team (also with Connell). Meanwhile, her Prep teammates described her as “funny, energetic and competitive.” She was known for her offensive and defensive skills, dribbling, cutting, chasing and striking. Brooke was recruited by the University of North Carolina, which has one of the winningest women’s soccer programs in the NCAA. Brooke fit in right away. In an epic play in 2012, during the Division I quarterfinals vs. top-seeded BYU, Brooke’s game-changing save advanced the Tar Heels to the final four, and, eventually, the Division I championship. If you’ve seen the footage on YouTube, you’ve probably found yourself watching it repeatedly; Brooke seems to come out of nowhere to block what would have been a tie-breaking goal. Throughout her college career, Brooke continued to come through with clutch plays; she was named team captain her senior year. In addition to her leadership on the field, Brooke was also an academic leader. A journalism and mass communications major, she was named to the ACC honor roll. After college, Brooke trained with the Women’s Premier Soccer League (the LA Blues) before moving to Australia to try out for the W League. She joined the Boston Breakers in 2016. In 2018, she joined the Utah Royals and was traded to the Chicago Red Stars, where her team made it to the semifinals. When she is not training, Brooke continues to pursue her advertising and marketing career through a variety of internships and consulting opportunities. She intends to return to school for her MBA. Her parents, Karen and Mark, have been to more than their share of Prep soccer games, continuing to support Prep soccer at the girls’ CIF championship game last year. Brooke’s sister, Nicole, graduated in 2009. Twice nominated for Save of The Week.